The Pathfinder Luggage Presidential Suitcase Set has been designed with weight and durability as the primary focus, featuring cutting-edge technology, the structured honeycomb design ensures that the frame of the suitcase is not only lightweight and durable, it will also provide the maximum protection for the items you place inside. 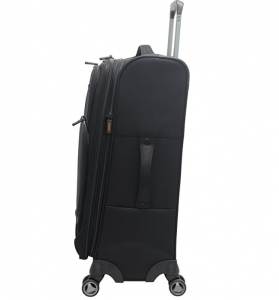 The three upright suitcases come packed with all the modern features that you would expect, with 8 spinner wheels and a telescopic locking handle making sure they are all easy to travel with, no matter how much you place inside. If you are looking for extra space to pack those couple of items you wish to take with you, do not worry as the cases are expandable. The suitcase set is both formal and fashionable, allowing you to take it to a business meeting one day, and an exotic tropical island the next. The suitcase set comes packed full of storage options, making it easier to travel with when your luggage is packed efficiently. The carry-on upright suitcase has a storage capacity of 35 L, giving you ample space to pack what you need for a short trip away from home. 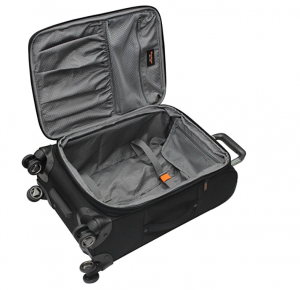 The medium suitcase has a storage capacity of 69 L, which is suitable for those long weekends, or even up to a week. The large suitcase has a huge storage capacity of 100 L, giving you a much bigger space to pack more of what matters to you. One of the biggest benefits is that the three upright suitcases can be expanded, giving you more space inside. Just like the TravelCross Dublin 5 Piece Luggage Set w/TSA Lock, each of the three upright suitcases come with two exterior pockets, allowing you easy access to travel documents or anything else you place inside. Inside the case, there is a large main compartment to store your clothing, with two straps to hold them in place. 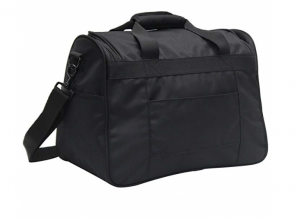 There are also two zip lined mesh pockets, giving you space to store loose items or valuables so that you arrive at your destination with your suitcase in order. One of the main features of the Pathfinder Luggage set is that it has been made to be lightweight, in order to avoid any airline fees, yet does not cut corners when dealing with durability. This can be seen in the honeycomb design of the suitcase frame, which is strong yet lightweight. Each of the three upright suitcases comes with 8 wheels, 4 on each corner which completes the 360-degree enhanced wheel system, which will allow you to breeze through the airport terminal, all without breaking into a sweat. The telescopic handles lock into place, and along with the ergonomic grip, makes it comfortable and easy to use for long periods of time. Not only is the suitcase strong, durable, and lightweight, it is also expandable, giving you extra packing capacity when you need it most. As one of the main features of the Pathfinder Luggage is weight, you would expect it to be one of the lightest suitcase sets around, that is not exactly the case. The tote bag weighs in at 2.4 lbs, which is lightweight and allows you to pack many items inside. The upright carry-on suitcase weighs in at 7.5 lbs, which when compared to Lucas Luggage Adrenaline 2 Piece Softside Expandable Spinner Suitcase Set is slightly on the heavy side. The medium suitcase weighs in at 9 lbs, and the large suitcase at 11.5 lbs. 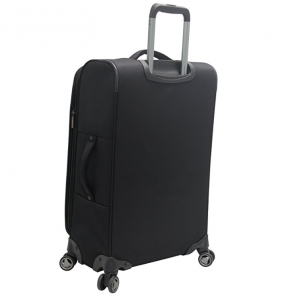 Although they may seem not that light on paper, the abundance of features and the 360-degree spinner wheel system makes traveling with them easy and effortless, you will not notice the weight that this set carries. 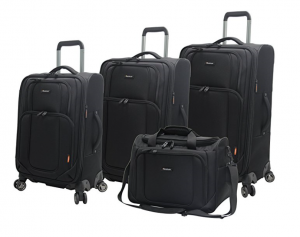 The Pathfinder Luggage Presidential 4 Piece Spinner Suitcase Set is a durable luggage option, with the modern honeycomb design ensuring that it will stand the test of time, especially when being handled by the baggage handlers at the airport. It is difficult to find bad reviews for this suitcase set, which is rare, proving that Pathfinder has produced a luggage set that will last. Two of the main focus points for luggage wear and tear are the wheels and zips, Pathfinder has made sure that both are strong and will not fail on you, truly creating a luggage set that will be with you for a long time. On first glance, the Pathfinder Luggage set does look like any other generic set, not really standing out from the crowd. There are two color options to choose from, black and olive, both of which are not adventurous. They will, however, be perfect for those who want to blend in and not draw any attention to themselves, while also being suitable for both work and leisure. Unlike most suitcase sets, the trim and details are in black, which complement the two colors of the suitcase set perfectly. 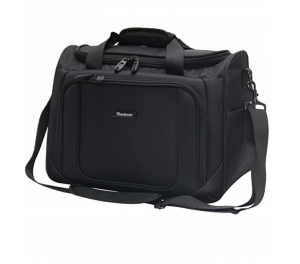 The Pathfinder suitcase set is a spacious set, yet is a reasonable size. The tote bag measures in at 16 x 9 x 12 inches, which is a decent size to take with you anywhere. The carry-on suitcase measures in at 22.5 x 14 x 9 inches, which is just within the limits for most airlines cabin restrictions. If you are looking to expand it, it would best to check beforehand to ensure that you are not in for a surprise at the airport. The medium suitcase measures in at 26.5 x 17 x 10 inches, and the large case at 30.5 x 18.5 x 11.5 inches. The three upright suitcases are all expandable by a couple of inches, so keep this in mind. 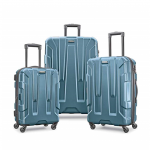 The Pathfinder Luggage Presidential 4 Piece Spinner Suitcase Set comes with a long 10-year manufacturer warranty, which protects the luggage from material or manufacturing defects. It does not, however, cover misuse, wear and tear, and mishandling. It gives you confidence that the suitcases are built to last. 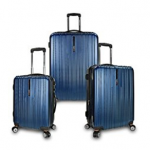 The Pathfinder Luggage Presidential 4 Piece Spinner Suitcase Set is a set that has been built to last while giving the user all the comforts of modern technological advancements in the suitcase sector. With all the features that they come with, they are really very easy to use, making traveling that little bit less stressful.  You will be more than happy to travel with your trusted travel companion.